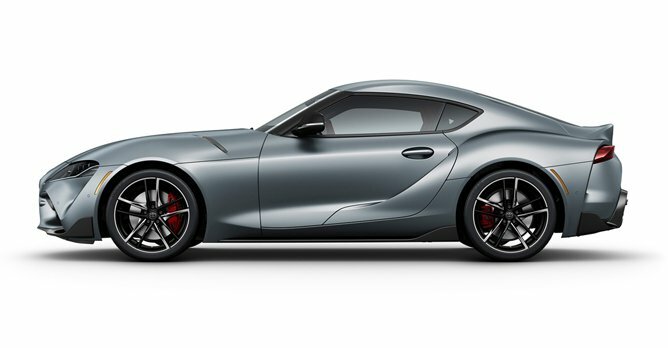 Toyota Motor Corporation has premiered its much anticipated all new Supra at the 2019 North American International Auto Show in Detroit. The new Supra is the first global model of Toyota Gazoo Racing's GR sports car series. Ever since first competing in Germany's 24 Hours of Nurburgring endurance race in 2007, Toyota Gazoo Racing has been aiming through its motorsports activities to develop its cars and people, with the goal of making ever-better cars. The new Supra is designed to achieve optimum drag and lift characteristics, and an ideal weight balance The knowledge and know-how it has built up over the years have been funneled into bringing the Supra back to life in the form of the GR Supra, as a car that people the world over will find fun to drive. The new Supra marks the end of a 17-year hiatus since the conclusion of production of the previous generation in 2002. Ever since the Supra's inception in 1978, all generations have been front-engine, rear-wheel drive, powered by an in-line six-cylinder engine. The latest rendition is no exception. This time around, extensive attention has also been paid to the three fundamental elements of wheelbase, tread, and centre of gravity, thus achieving handling performance befitting a pure sports car. The new Supra is powered by a 3.0-litre turbocharged in-line six-cylinder engine that produces 335bhp and 500Nm of torque, and is mated to an eight-speed automatic transmission with racing-style paddle shifters. 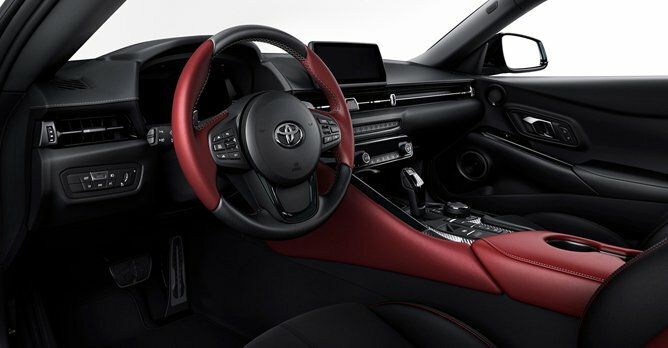 The driver's cockpit in the new Supra neatly combines traditional GT elements with ultra-modern functionality The driver's cockpit in the new Supra neatly combines traditional GT elements with ultra-modern functionality. Designed to help the driver focus entirely on the business of driving, it is directly influenced by the layout found in single-seater race cars. The low, slim horizontal dashboard maximises the forward view through the windscreen, helping the driver place the car with precision in high-speed driving, while the principal controls are tightly grouped for quick and easy operation. The instrument panel, centre console and door trim combine in a seamless design that gives the cockpit a strong, unified feel. Toyota President Akio Toyoda, who is also a master driver, said, "Back in the day, I spent countless hours driving an old Supra at Nurburgring to become a master driver. Supra is like an old friend that holds a special place in my heart. While other manufacturers were putting their beautiful new prototypes, which they were going to introduce through the paces, I was driving an old Supra that was no longer in production. So even though Toyota had no plans to make a new Supra, just like a lot of other die-hard Supra fans around the world, I secretly wanted to make it happen. The new Supra was born through testing at Nurburgring, and I can honestly say that it is a car that is fun to drive and better than ever." Chief Engineer Tetsuya Tada, who headed development, said, "We set out to create a pure sports car that would attain the ultimate in the fun of driving. Rather than only working toward specs such as horsepower and circuit lap times, we emphasised sensitivity performance, such as the degree to which driving could be felt to be fun, with car and driver becoming one."